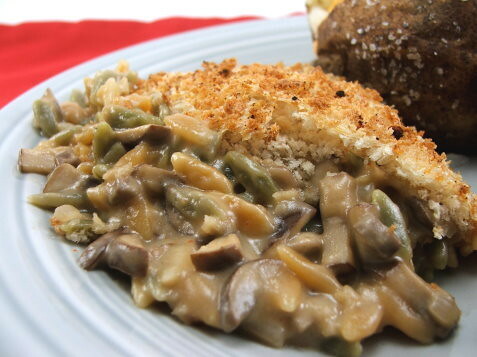 Ever since I was invited to the Mushroom Council lunch a few months ago I have been looking for new ways to add mushrooms into my everyday meals. I have also been looking for new ways to use favorite ingredients because I can sometimes get into a cooking rut. Orzo pasta is one of my pantry staples because it can be added to so many dishes to fill them out, but I almost always seem to use it in my chicken salad (recipe to come soon!). So, I had mushrooms, I had orzo, and I had my imagination. What I came up with was a hit with all the people I tested it on, even those who swore up and down they did not like mushrooms. 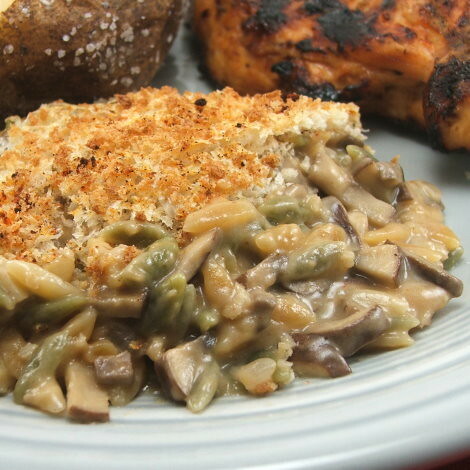 The sauce is not too cheesy and stands up well to the flavorful mushrooms. 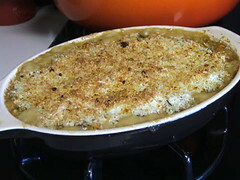 The topping adds a nice crunchy texture which plays well against the creaminess of the sauce. 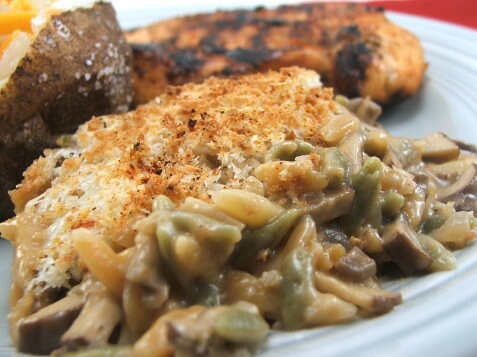 Served with steak or grilled chicken this dish is sure to please! Heat the oven to 350 F and coat a small baking dish with non-stick spray. 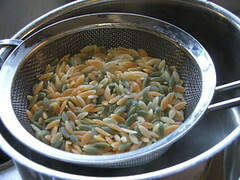 Cook the orzo pasta according to package directions, reducing the cooking time by one minute. Drain and set aside. In a saucepan over medium heat melt the butter until it foams. 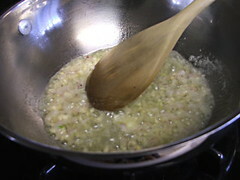 Add the shallot and garlic and cook for one minute. 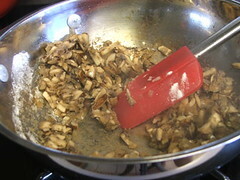 Add the chopped mushrooms, salt and pepper. 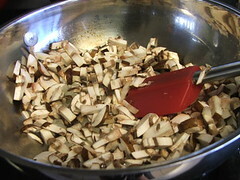 Cook until the mushrooms are soft and have reduced in size by half. 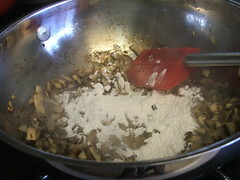 Add in the flour and cook for one minute, making sure there is no clumps of dry flour remaining. 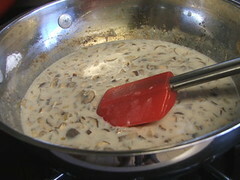 Add in the milk slowly, stirring constantly, until there are no lumps remaining. 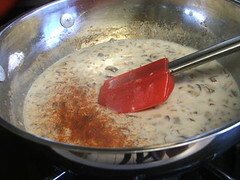 Add the cayenne pepper and cook until it simmers and has thickened. 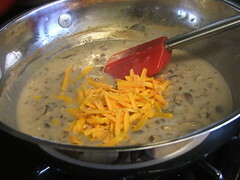 Turn off the heat and add the shredded cheese in three additions, making sure the cheese is completely melted before adding the next addition. 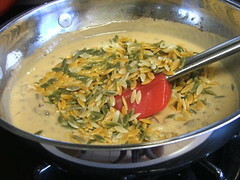 Stir on the orzo. 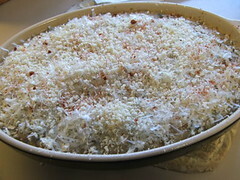 Pour the mixture into the prepared pan and top with the panko, Parmesan, and paprika. 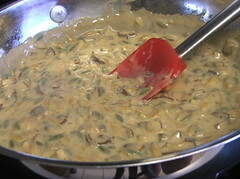 Bake for thirty minutes, or until the edges of the dish are bubbling and the topping has browned.